For the convenience of our tenants, we are making some of our most commonly needed forms available on our website. Simply print out the form below, complete it, and bring it to the office! 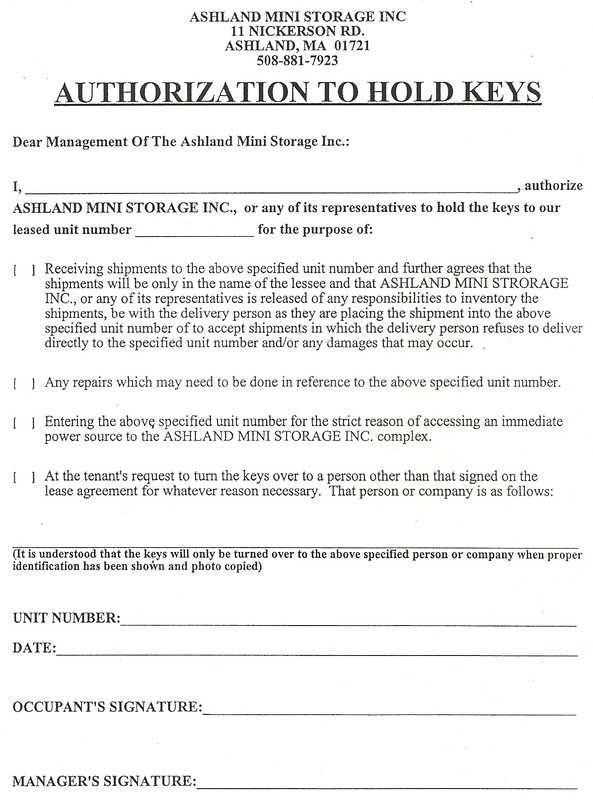 If you have any questions, please feel free to call us at (508) 881-7923 or email us at ashlandstorage@aol.com. If you need to inform us that you are MOVING OUT, please contact us through e-mail or call us at (508) 881-7923. If you need to inform us that you have changed your address or phone number please contact us via e-mail or call us at (508) 881-7923.